Local Cache location: This is set to a default location on the local computer, but can be set to another location. Cache size limit: The cache size limit specifies the amount of hard disk space that may be used by the local project cache. If you want to have the Cache location on different place instead of default location, please use Browse button and select a new location and click OK button when finished. Note: Please use the location always on your local hard drive. Do not use the network shared locations, by selecting the network shared location, you will not able to use Work Offline feature effectively. 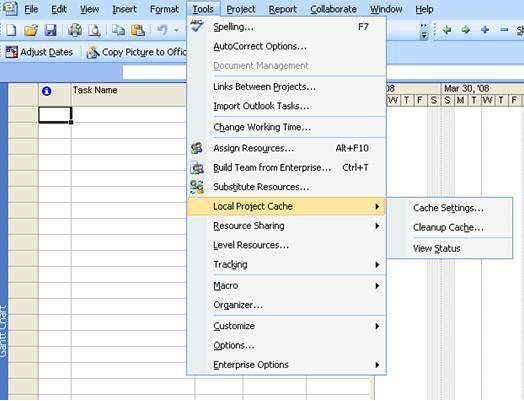 NOTE: If the size of cached projects in the local project cache exceeds this limit, the user is prevented from opening or saving projects from the server.